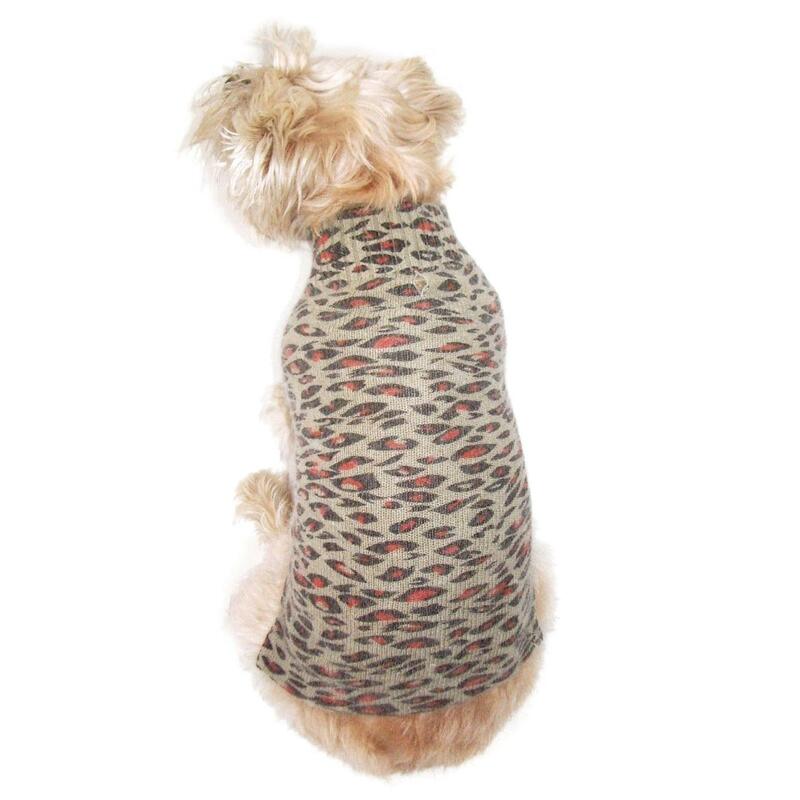 Let your pup take a walk on the wild side with The Dog Squad's Animal Instincts Mock Turtleneck Dog Sweater in Brown Leopard. The Dog Squad’s Animal Instincts Mock Neck sweater features a hand-printed brown leopard pattern over a luxurious Angora blend knit. 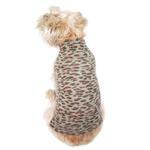 The mock turtleneck style and square-cut hem provide toasty coverage to keep your pup warm during the cooler months. Available in tiny puppy, teacup dog, and toy dog breed sizes.